Takeaway: Your toolbox talks should focus on risks and hazards that are present in your workplace. Reviewing recent accident and incident documentation is a great way to find an appropriate topic. Toolbox talks are a quick and easy way to deliver key safety information to workers and provide brief refresher training. They allow you to make safety a regular habit and keep it at the top of everyone's mind. But some toolbox talks are better at encouraging safe behavior than others. In this article, I'll give you six pointers that will help you deliver toolbox talks that really count. A toolbox talk is a meeting or session with workers in a specific department within an organization. The format for the meeting is an informal group discussion focused on a particular safety issue, normally a hazard present in the work environment. These meetings provide information to workers and then gives them the opportunity to voice their concerns regarding hazards and controls, incidents and accidents, and work processes and company procedures (learn about The Difference Between Incidents and Accidents and What It Means for Your Safety Program). Toolbox talks are a great way to supplement and complement the training workers receive, but they are not an acceptable replacement for formal safety training. Although anyone can conduct a toolbox talk, it is always better to have an individual who is an expert on the topic give the talk. Why Are Toolbox Talks Important? Here are six elements you should consider whenever you're planning a toolbox talk. Know your topic and plan your agenda a few days before the meeting. That way, you will be well prepared and able lead a productive discussion afterwards. Additionally, when planning your agenda, prepare hand-out literature and make sure you have the actual tools or equipment you're discussion on hand. Using the right materials will help you get your point across. Be sure to choose a relevant topic. Stick to safety issues the workers you're meeting with currently face or might face in an upcoming job task. Before selecting a topic, review recent accidents or incidents, safety violations, and the upcoming work schedule to identify the topics that are most pressing. Always start your toolbox talks with a positive note, by promoting teamwork, and by reminding everyone that the talk is meant to provide valuable and actionable information. Keep the toolbox talk informal. If you are referring to written materials, try to give the presentation in your own words. Hold the meeting at your workplace first thing in the morning or immediately after lunch. These are the two periods in the workday where interruptions are least likely and the workplace is relatively quiet. If the workers identify any issues that need a follow up, record the details and make sure that the necessary actions are taken. Effective communication is one of the best ways to prevent accidents, injuries, and illnesses. And effective communication is what toolbox talks are all about. 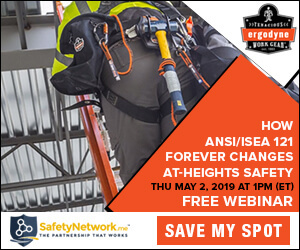 Use these sessions to bring attention to important safety issues, remind workers of procedures and protocols, and highlight hazards that may not be taken seriously enough.